For awhile there, I didn’t feel that summer was being very kind and I ended up camping out at my guy’s air-conditioned man-cave. I did have to spend some time outside though and I discovered some new best friends that helped me cope with the heat and the sun. I also picked out something for my girly apartment that keeps me pretty cool now that summer has decided to smarten up a bit. That doesn’t mean it won’t come back with a vengeance! Here are my tips on how to combat the heat the next time Montreal turns into an oven. Clinique’s Moisture Surge Face Spray Thirsty Skin Relief (say that fast, five times!) is oil-free and oh-so-refreshing! I keep it in my purse at all times so I can re-mist often. Available at the Bay for $26.50. 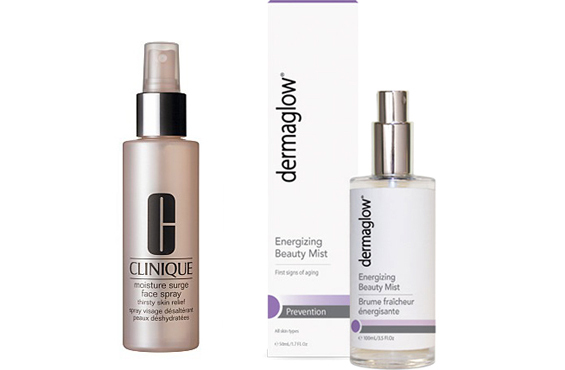 Dermaglow (a Canadian company) just came out with this Energizing Beauty Mist that I absolutely love for its mix of basil, peppermint, and grapefruit (my favourite!) essential oils. It’s a bit more intense as a face spray because it acts as a toner and a serum at the same time, so I suggest to use it in the morning to wake up your skin after cleansing and before applying makeup. Find it for $40 at Jean Coutu, Pharmaprix and Proxim pharmacies. Who wants skin cancer? Uh, nobody. 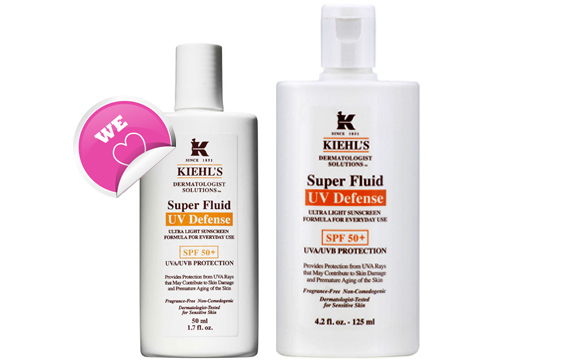 In my opinion this is the only sunscreen we need: Kiehl’s Super Fluid UV Defense SPF 50. I burn very quickly and I’ve tried sooooo many different sunscreens over the years, and this one beats them all! Finally, a sunscreen that is exactly what it says it is: lightweight, oil-free, and water-resistant. Not only that, it comes in two sizes: 50mL ($36) and 125mL ($62). I love the 50mL size and keep it with me at all times to reapply every two hours. I am very anti-sun and anti-sunscreen that balls up or leaves a white film on my face. This sunscreen comes out of the bottle white, but then goes on silky and transparent, even over makeup! My friends know that I am a BIG fan of Winners and so when I saw these super cute, retro-inspired fans, I had to have one. I also had to pick one up for the G’usband (pet name for my gay best friend) because it so matches his new colour scheme. When I saw them at Winners in June they came in lime green (Patrick’s), aqua (mine), lemon, white and metal for $49.99. They may have gone fast though, so I did a search and you can purchase them on Amazon for $50. 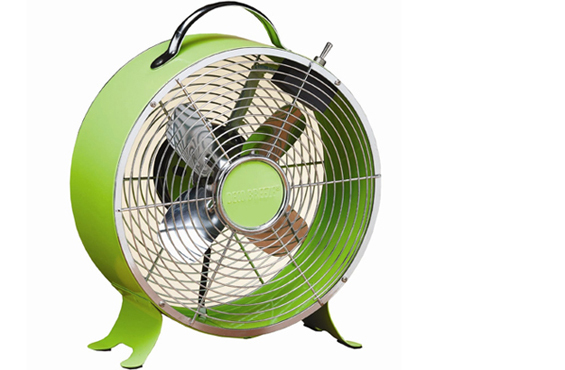 These cool little deco fans are a hot, strike that, cool number! The tower of power! 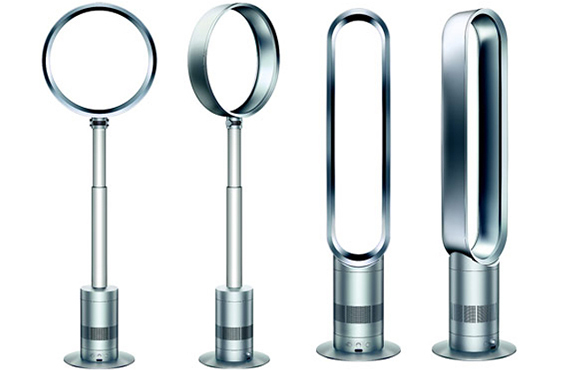 If you want super cooling power and an ultra-mod design without having to install an air-conditioner, I suggest investing in the Dyson AM02 Tower Fan or the Dyson AM03 Pedestal Fan. They are both sleek and safe because of their bladeless design and according to the reviews I’ve read –the best fans the consumers have ever had and worth the investment ($549.99 each). Great for cooling down large spaces and maybe you could teach your pet to jump through it for added entertainment. 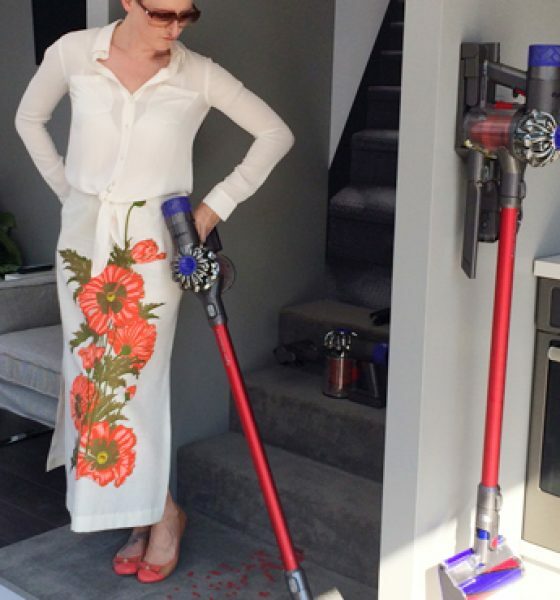 Just kidding – I mean, they’d probably only hover in the middle, which might still be fun. Somebody try it with a stuffed animal and let me know!